With more than 10 years’ experience from risk management and insurance, Fredrik is currently Head of Group Risk Management at Sandvik, a global engineering group with revenues of 9,9 billion USD and headquartered in Sweden. Sandviks business is focused on mining and rock excavation, metal-cutting and materials technology. The group has a Swedish domiciled captive. Previously Fredrik was Group Risk & Insurance Manager at ASSA ABLOY, the world’s largest supplier of locks and automatic doors, and prior to that he worked in the insurance industry as an underwriter and broker. 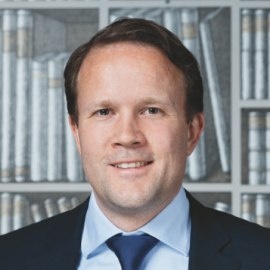 Fredrik also held the position as President for the Swedish Risk Management Association (SWERMA) between 2012 and 2015.